Netflix is one of the most popular online streaming services in the world. Other services all wish they were Netflix. It is used by tens of millions of people across the world. One thing that many of its users have wanted is the ability to save content for viewing offline, but Netflix was initially against the idea. Then we heard a few months ago that the company was warming up to it. 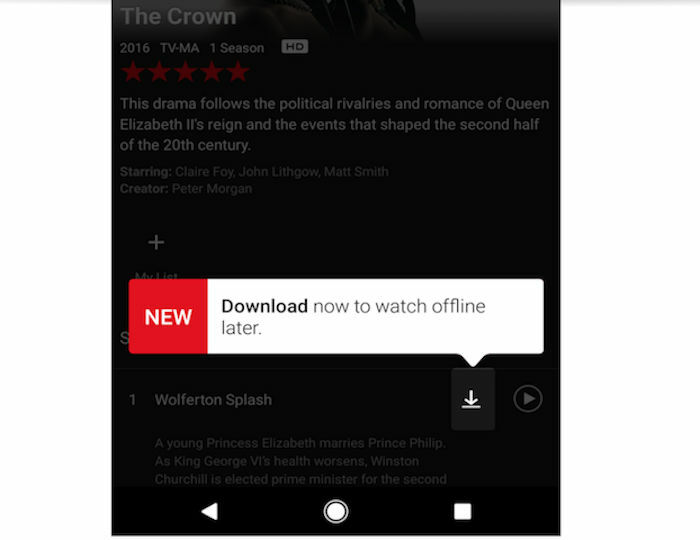 If you subscribe to the service, you will be happy to find out today that Netflix offline viewing functionality is finally here. Better late than never. Downloading content for offline viewing is easy. Just tap on the download button on the details page for a TV show or movie and let the app do the rest. This is currently limited to mobile devices only and will not be available on desktop. At least right now. This doesn’t mean that all of the content available on Netflix will support the functionality. It’s basically limited to all of Netflix’s original series but the company does say that more content will eventually support offline viewing for users. iOS and Android users should update their Netflix app today to use the new feature. It took the company a while, but it is finally here. Rivals like Amazon Instant Video already have it provide this functionality to users. Netflix offline is available to all subscribers.